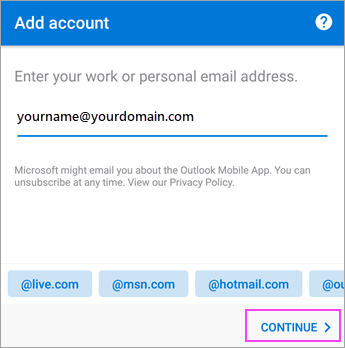 Howto: I configure my email address in the Microsoft Outlook app ( Android Tablet, mobile phone)? Find the Outlook app in the Android Play Store. 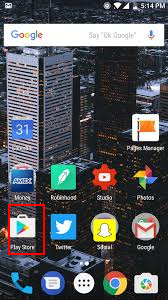 Download the app, click on "INSTALLLING" to do so. 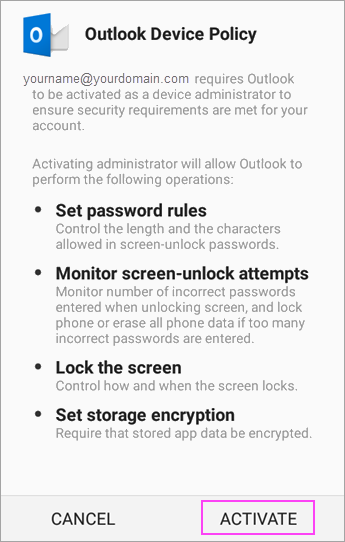 If you don't have Outlook for Android yet, go to step 1. Touch Getting Started when you first do this. Otherwise, open the Menu, and tap Settings > Add Account > Add Email account. Enter your full email address, and touch Continue. 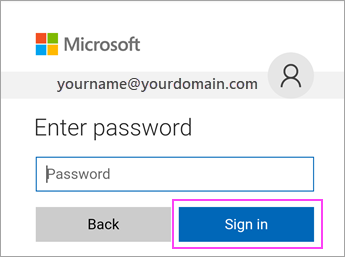 Enter your email account password, and touch Sign in or Next. Note: The Login screen may look different. This depends on your email provider. 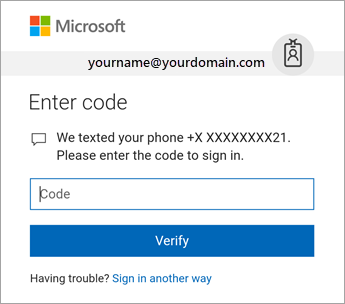 If two-step authentication is enabled (2 factor authentication), check it yourself using the method you set (6-digit code, phone call, or Microsoft Authenticator app). If your IT administrator has additional policies in place, tap Activate, and tap Activate again. In Outlook, you can also be asked for permission to access the calendar, contacts, and so on. Touch Yes or Allow. Klantensysteem HomeKennisbankLinux Shared webhostingHowto: I configure my email address in the Microsoft Outlook app ( Android Tablet, mobile phone)?